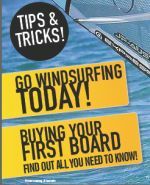 The International Speed Windsurfing Class is the successor to the International Speedsurfing Association (2004-2007), which was administering the discipline of speed windsurfing on behalf of IFCA. Effective May 2007, the ISWC became an ISAF international class, and thus is entitled to control all aspects of the sport and award the official world champion titles in the discipline of speed windsurfing. The ISWC is a riders association, which means that the riders itself control the development of the sport. Beside the organizing people behind the scene, the executive committee is completed with the riders elected representatives. Its current and past members are the “crème de la crème” of Speedsurfing worldwide. Fins, Masts, Booms, Harnesses, etc. Manufacturers of Hydrodynamix and Tyronsea gear. Booms, boom arms, kite bars, the legendary Z boom, and other gear, repairs and services. For the supply (all over Australia) of Kestrel handheld weather instruments & Davis weather stations. Supply is direct door to door for convenience. Freecaster - web link an online freesports and music channel offering free access to over 10 sports channels and 4 music channels. Windsurfing - The Game - web link to a 3D-Simulation of windsurf including many moves and racing techniques. Click the link for Screenshots and Videos.